Gregs 2002 FS650 project / rebuild. Been reading over gavBeys's rebuild thread and saw it was full of useful information. I've decided to start my own. I am an Marine Engineer in the Navy. I work on nuclear subs. I am specifically a mechanical engineer. Electrics are voodoo but I'm getting there. I loved it! 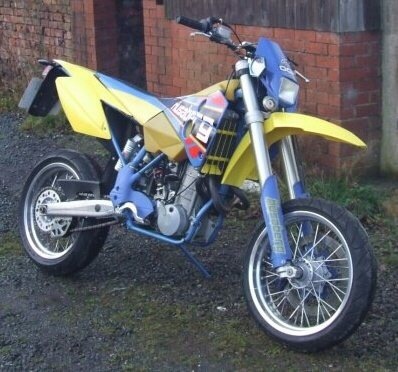 It was superb fun to ride.i did eventually sell the berg but regretted it and ended up buying another. I am from the Wigan area so around 25 miles from Dave Clarke racing in Preston. He had a 2002 for sale and I ended up buying it. Again a fantastic bike. I used as a toy as I also had an 05 zx10r so it never went out during the night. So I decided to make it a bit more racey looking. The lights were all removed and the wiring loom cut back as much as possible. 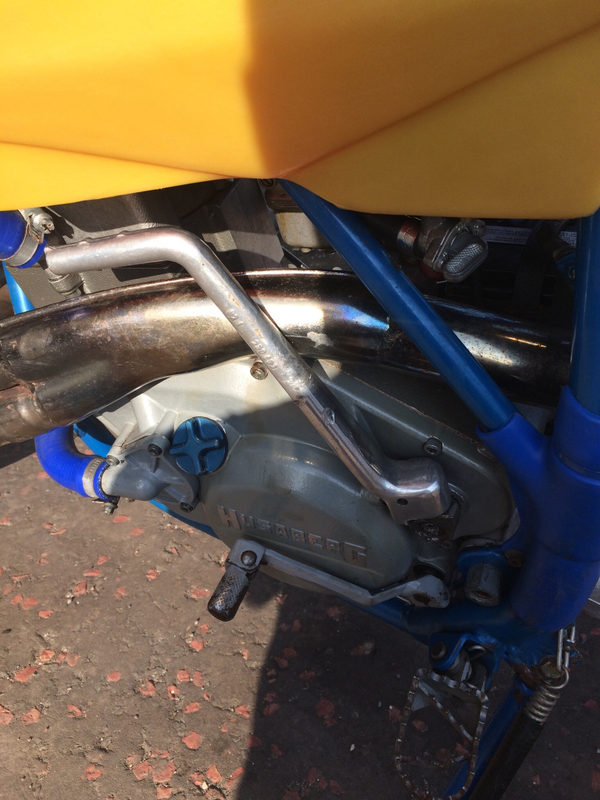 The engine remained standard with the rino can fitted. I serviced it regularly. I was young single and earning a fair decent wage. I had the house, 2 bikes and a car to fund. Some thing had to go as I couldn't afford them all. The berg was sold . Move on 6 years. I'm now married. 4 kids! Moved 250 miles north to Scotland. Just 1 car and no bikes. 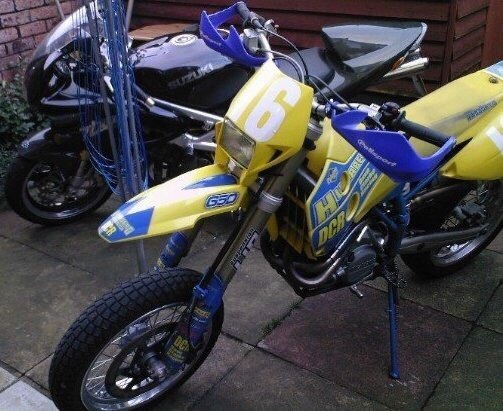 I had My last bike was 2 years ago and was an rsv Mille. 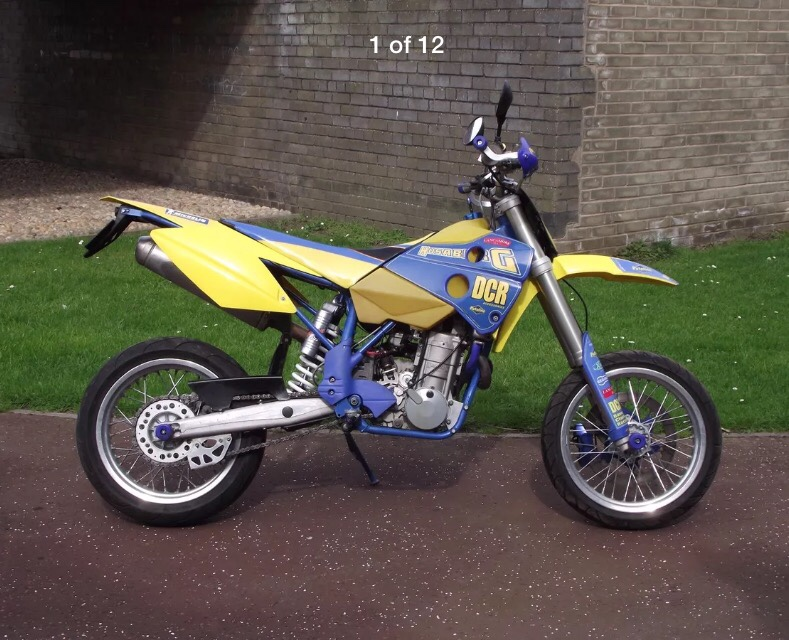 I always like to keep an eye on eBay and other sites looking st Husaberg's. It was my old bike! I sold it in England 6 years earlier and it was now for sale 70 miles away. I begged the wife and begrudgingly she gave me the funds and I bought it back. It was exactly as I left it! I test rode the bike and it felt great. I gave him ££££ and he gave me my V5. 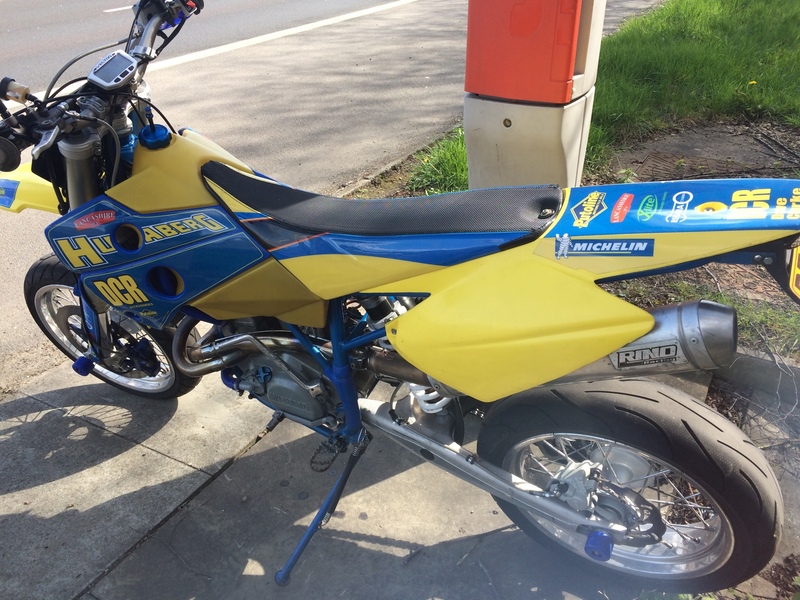 I'm now a husaberg owner once again! Last edited by gregfreefaller; May 1st, 2017 at 12:30 AM. I now had to get the berg home, 70 miles. Should be straight forward. Just head west and point at Edinburgh, should see signs for Glasgow and then follow those. It didn't really work out that way...... 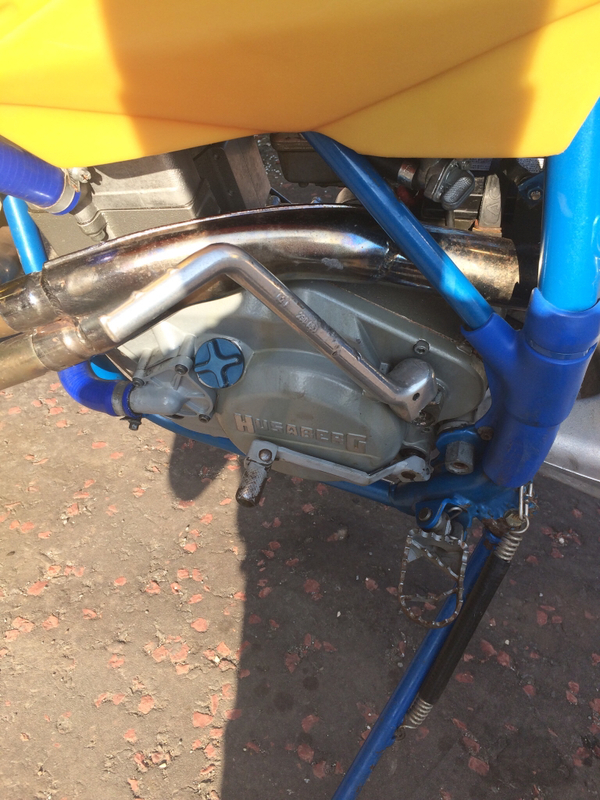 I ended up in Edinburgh city centre at mid day on a 650 husaberg with a rino can fitted! Everyone was looking. I tried to be quiet.....I even rode passed holyrood the Scottish parliament buildings! I eventually came out the other end and found my way to Glasgow with around 15 miles to get home. Suddenly the bike died. No cough or splutter it just died! I rolled over to the hard shoulder and looked for anything obvious. Couldn't see anything? Had I just pressed the emergency stop. I tried kicking her over but with no joy. Here's the berg stranded on the M8! Finally got her back to the garage. Took the spark plug out and no spark ⚡️. After looking round the bike and the forum I decided to start at the begging of the electrical Wizardry journey. I tested the stator using a multimeter. I got open circuit from red to black. To me that says the electric pipe is blocked or broken. 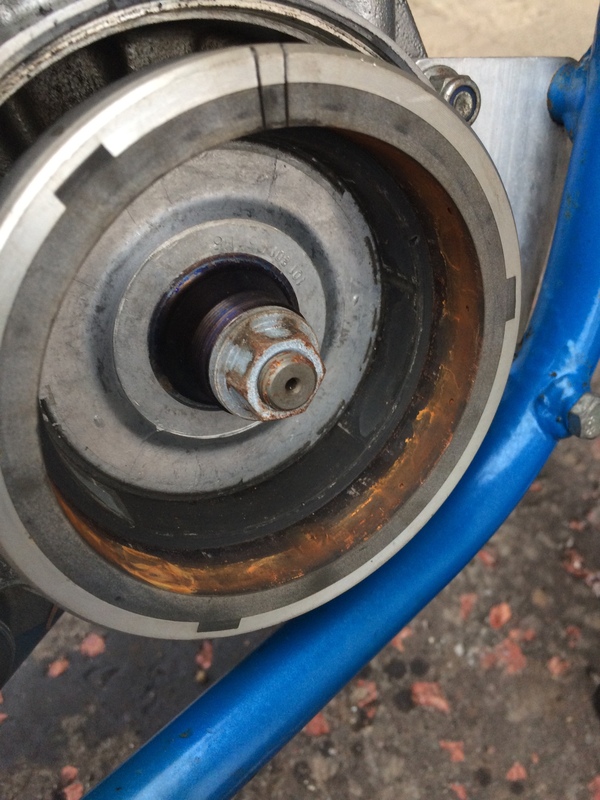 Looks like my stator had gone. Looking at it I'm amazed it lasted so long! 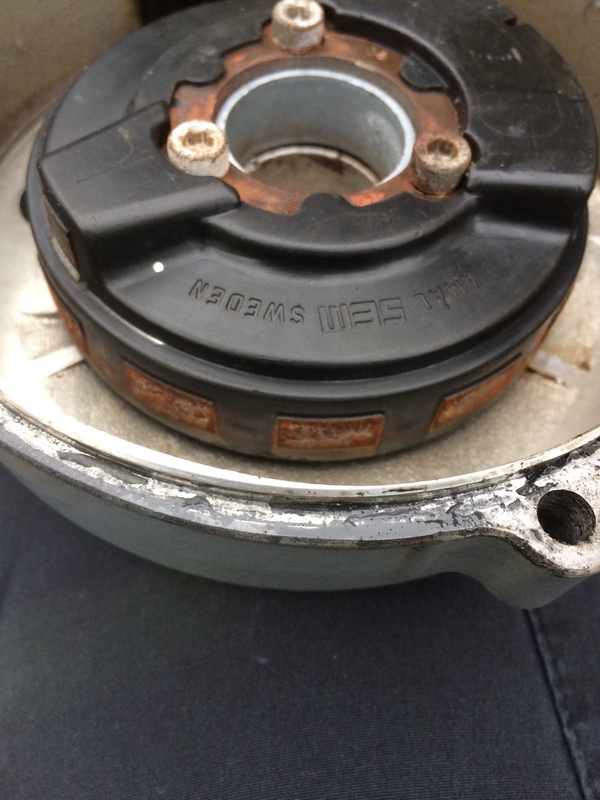 It turns out mine didn't have a seal on the engine cover. 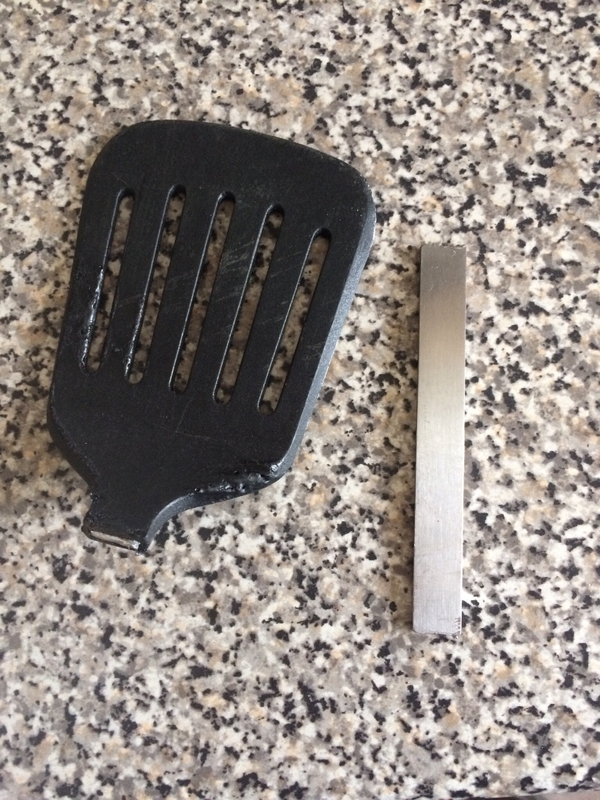 It had a tiny bit of sealant but not really enough. 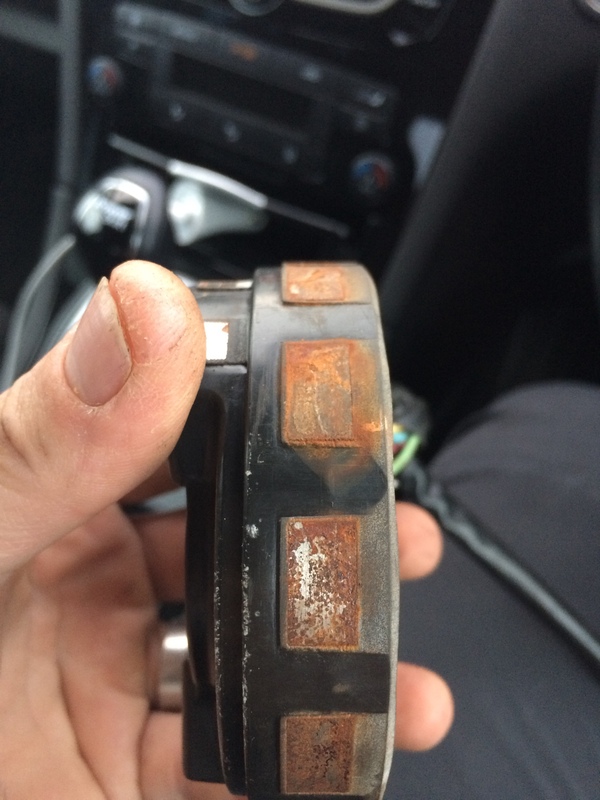 The SEM stator has now been removed and is off to the well respected sparks for a rewire! Last edited by gregfreefaller; May 1st, 2017 at 12:41 AM. I fitted a thumb brake all those years ago. Used a Ducati 916 brembo calliper and mounted it reverse. I didn't have anything to hand in 2011 when I fitted it to make a bracket from so I used a tiny bit of butchers string as a quick fix. Bought the bike 2017 and it's still there ! I searched high and low for a nice bit of metal to make a little bracket out of with no luck. So I'm now making a bracket for that! 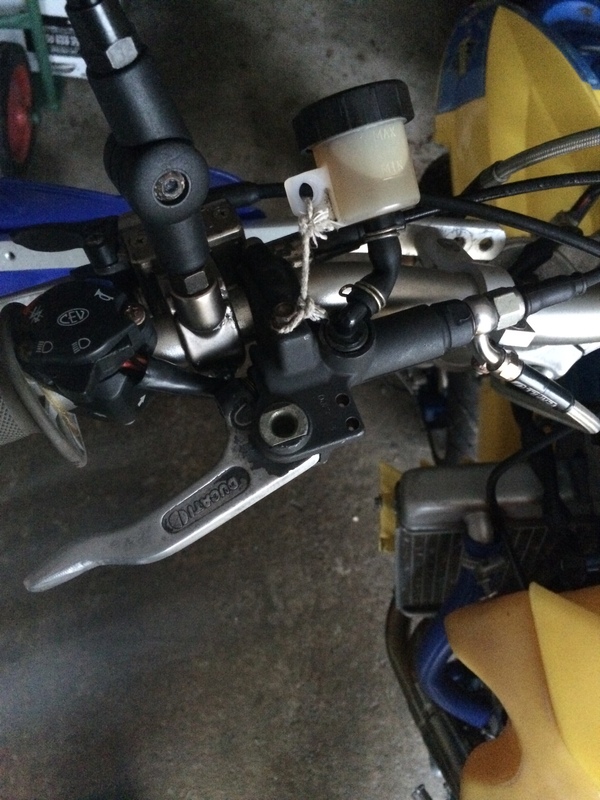 Although the bike started the kick lever needs some looking at. The lever itself has no resistance and just flops out 90* on its own. It also has quiet a lot of play before it starts to turn the engine. -all gaskets and seals to do the work. My plan is to rebuild the bike in bits. So whilst any particular cover is off so all the work in that region. 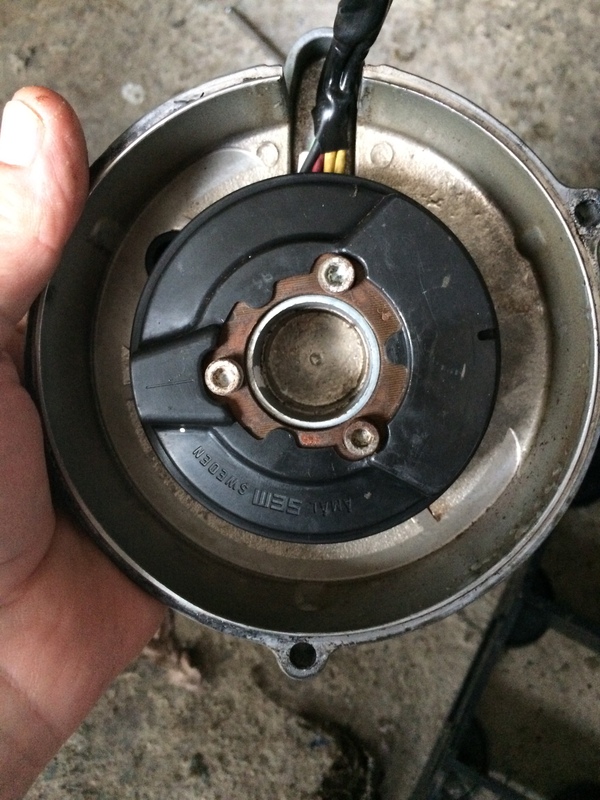 So whilst the left cover is off I'm considering getting the clutch looked at as it's hard to get neutral and it oooks like I'll have to remove it anyway. It's bank holiday weekend so impatiently waiting for Tuesday when the rest of the parts should arrive! 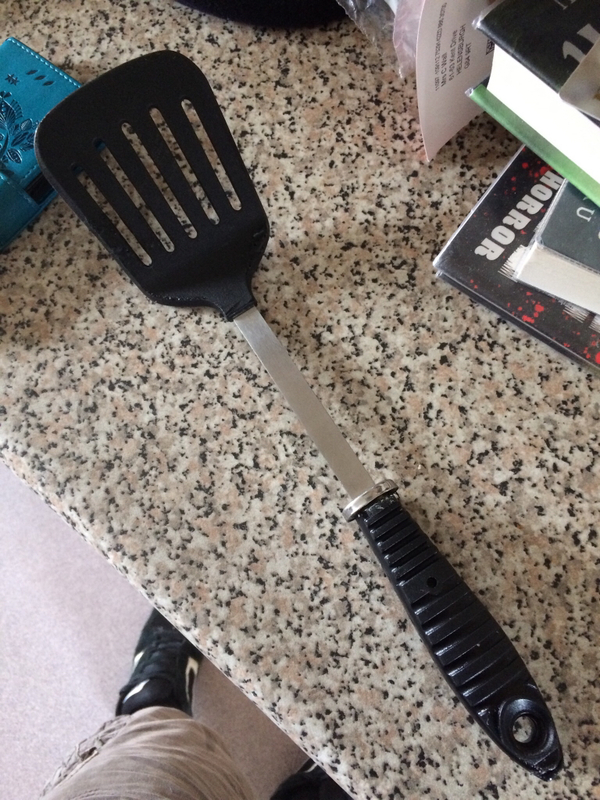 Love the fact you're upgrading the string with a fish slice handle.....good work, although the wife will kill you if she finds out! Did your bike go into neutral when you had it before? Both of mine 02 and 08 are pigs at a standstill, have to do it just before stopping or when the engine is off. Good luck with the mods. No I don't think it did. 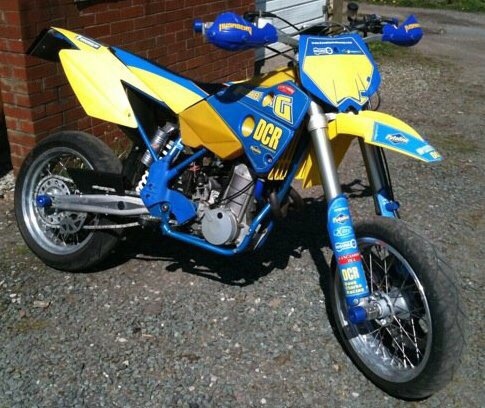 Can't decide if 150 is worth spending on a clutch mod at the minute. For the 2 hours I had it I just stopped the engine an found neutral. I live in a small town and will be heading out into the country so I probably won't use neutral too often. I'm also wondering about all the decomp stuff. I get the reason for the manual one. 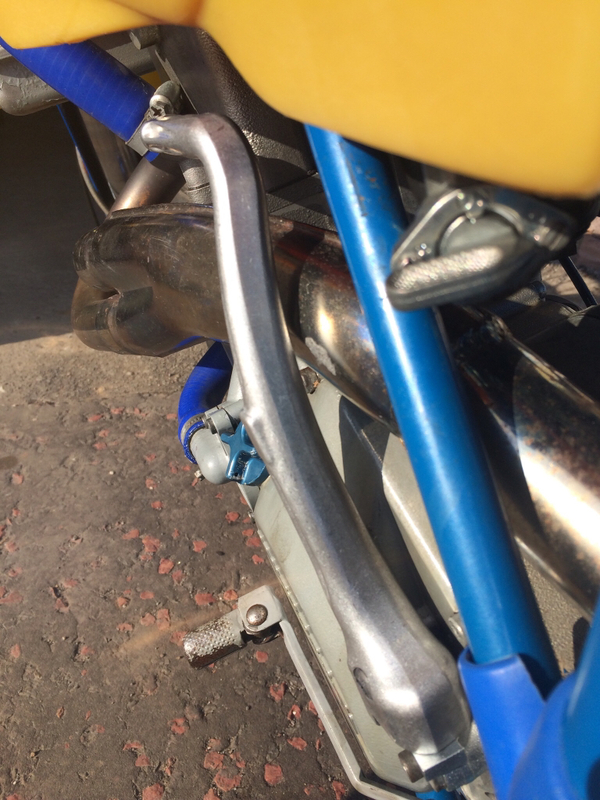 It allows you to release the compression built up so you can turn the engine? What's the auto one do? Is it just for electric starts? I'm not spending 1000 on making it start on a button. It never has before so I'm kinda used to it. I would like it to kick a bit easier though. I'm not going to play with any internals until the stator is back and I know the bike is running again! 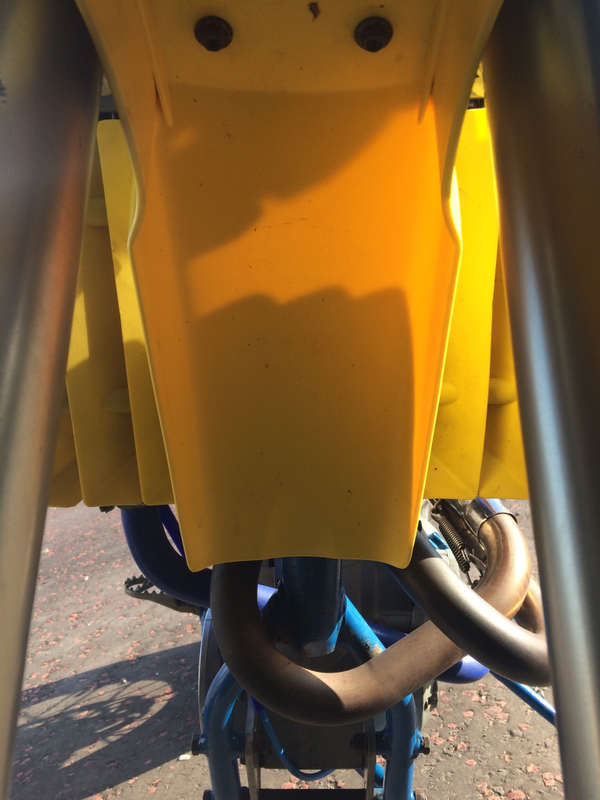 Has anyone ever noticed how much the front Mudguard blocks the radiator? You can only see a little bit of it. I know cooling is a major issue on these. I've ordered a temperature sensor for my vapour I'd be curious to see the difference with and without Mudguard! The cam decomp and spring are pretty cheap and quick whenever you have the head off. 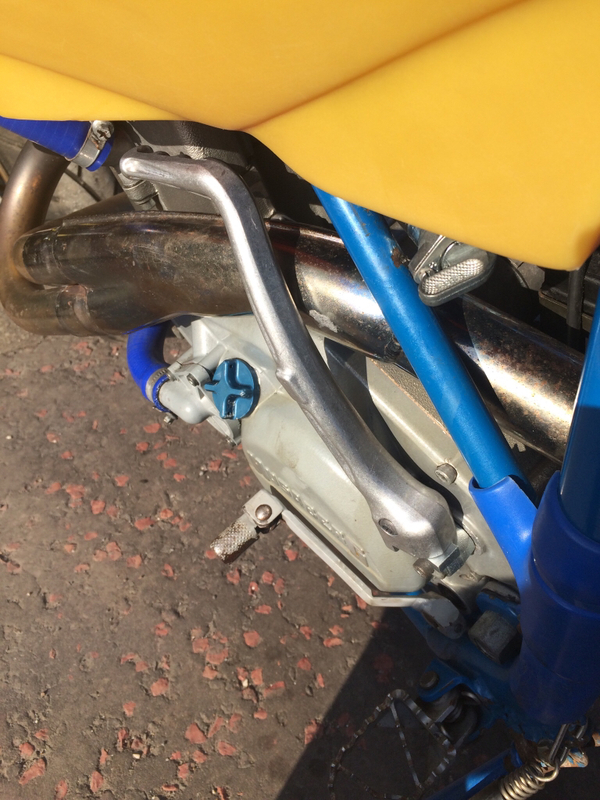 Never had an issue with my 650 overheating, if you're really worried you could drill some holes in the back of the mudguard. Its the machining of the wheel and cam if it requires it. Do you have to break the timing chain and reset all that too?